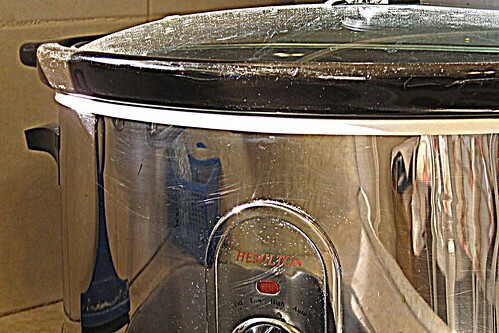 (Photo: Slow cooker with Picasa fake HDR filter) This is the recipe I pull out whenever I need to cook for a crowd. The slow cooker works wonders on tougher cuts of meat, so I use shoulder roast (#5, in Israel). I made it for Rosh Hashana, but it would be welcome for cool evenings in the sukkah. I use a mandolin to julienne the carrots but you could use a food processor if it has a julienne blade. If you want to slice the carrots, you’ll have to add them earlier in the cooking process. The garlic may turn a distressing shade of blue-green but it will look normal by the time the meat is cooked. The roast is not easy to slice while it’s hot. I prefer to cook it a day or two in advance and slice it when it’s cold (I don’t bother thickening the sauce with cornstarch if the roast is going to sit in the fridge). Place the meat in the slow cooker and top with sliced onions. Combine brown sugar, soy sauce, and cider vinegar and pour over the meat. Add bay leaves and minced garlic. Cover and cook on high for 6-7 hours or until meat is very tender. Add mushrooms and carrots and cornstarch mixture (if using) and cook for another half hour. Serve with rice. 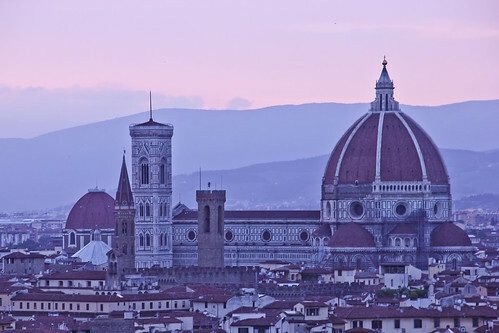 The Basilica of San Miniato al Monte in Florence is situated on one of the highest points of the city, above Piazzale de Michelangelo. 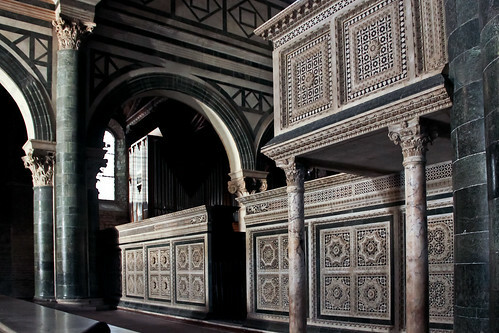 San Miniato has been called one of the most beautiful churches in Italy and one of the finest Romanesque structures in Tuscany. I reached the church about 15 minutes before closing time, so these photos really don’t do it justice! 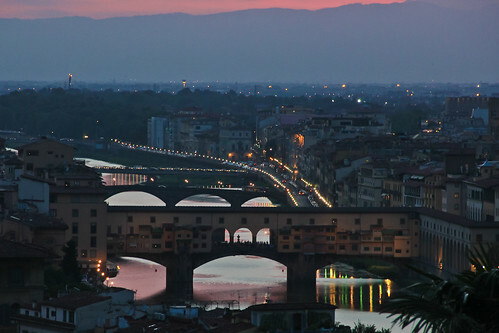 I didn’t get to the crypt or the famous “Cardinal of Portugal” chapel. 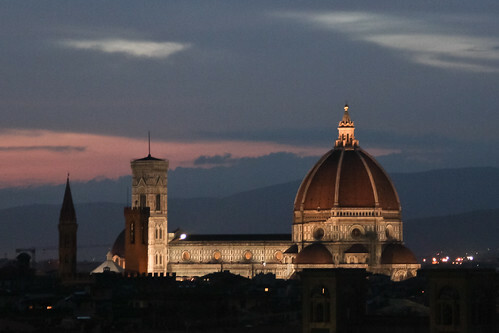 The earliest parts of the building date to 1018, although the upper parts of the facade were finished in the twelfth century or later. 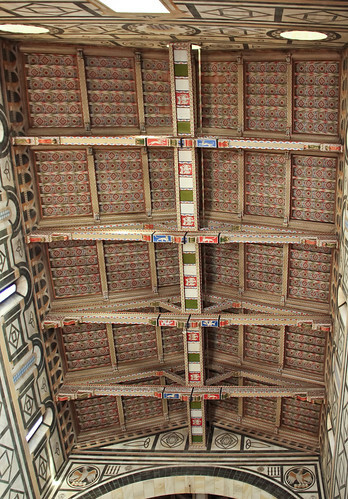 The trussed ceiling of the nave (below) was decorated in 1322. 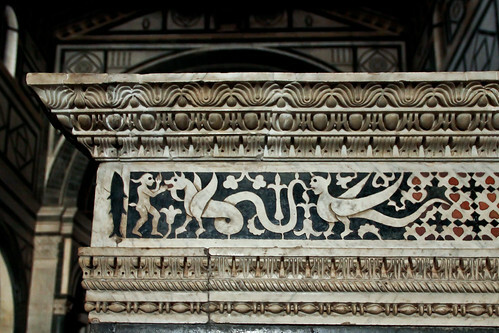 The vivid colours, however, are a legacy of the restoration carried out in 1860-61. 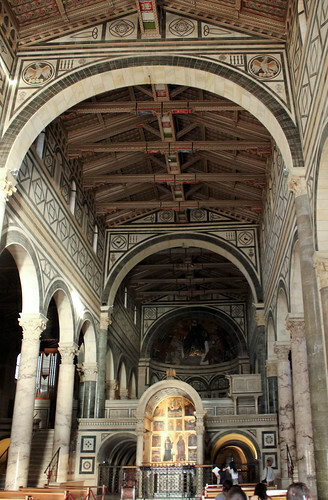 Below, a view of the central nave with the tabernacle at the bottom of the photo. 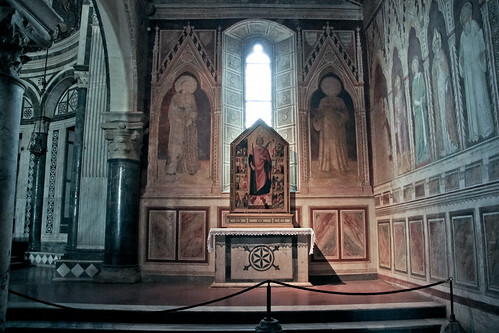 The gold altar panels, begun by Agnolo Gaddi in 1394, represent Saint John Gualberto and Saint Minias, the martyr to whose memory the basilica is dedicated (he is said to have been beheaded by the Romans and to have picked up his head, crossed the Arno River, and walked up to his hermitage). 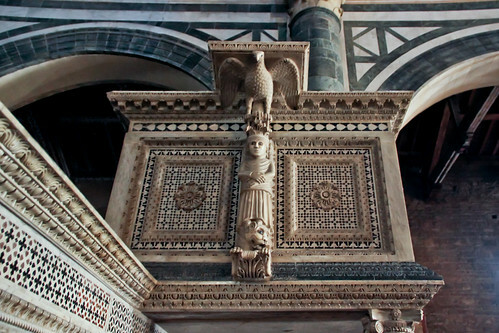 Below is a detail of the Romanesque marble pulpit (1209), decorated with an eagle, a monk, and a lion. 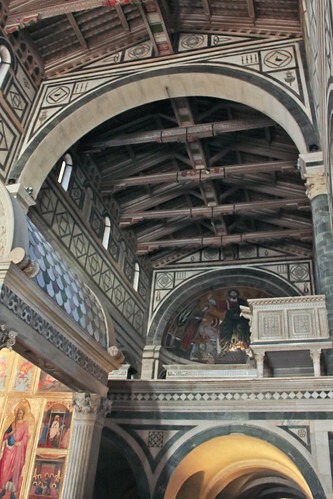 The pulpit and the rood screen (decorated wall below) were constructed at the same time. 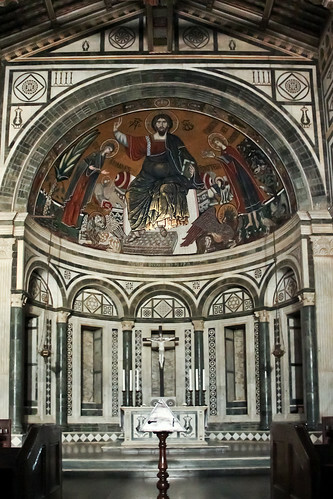 The Christos Pantocrator mosaic in the apse is in the Byzantine style, artist unknown (ca. 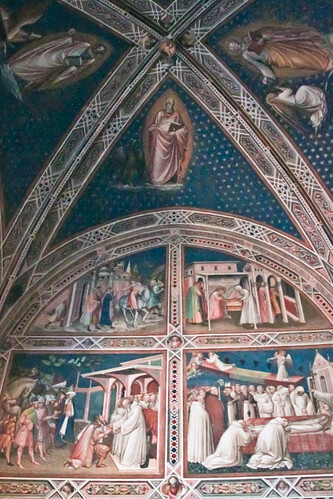 1260). 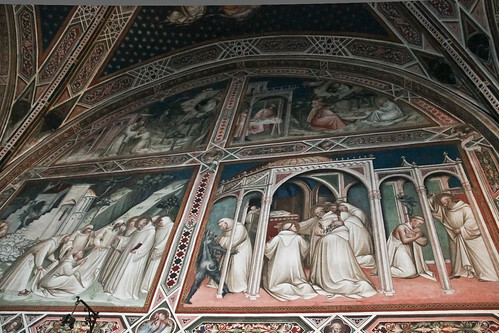 These frescoes, in the sacristy, depict the life of Saint Benedict and are attributed to Spinello Aretino (1387 -1388). 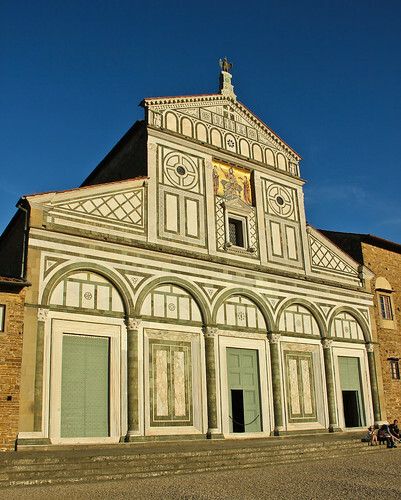 For a panoramic view of the sacristy, go to this site. 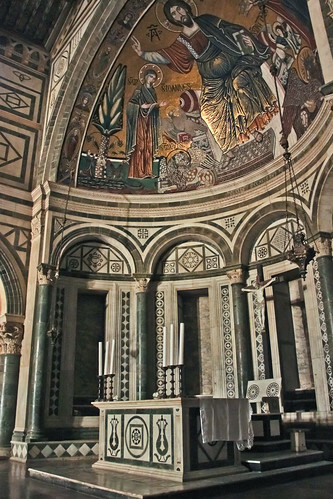 Side altar and frescoes at the end of the right aisle. 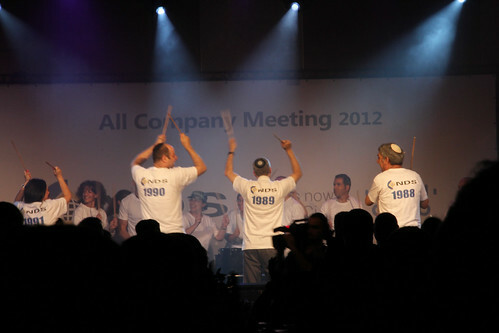 Flash mob, drummers, five songs from the Live@NDS band — all the stops were pulled out at the final NDS Annual Company Meeting at Binyanei haUma a couple weeks ago. 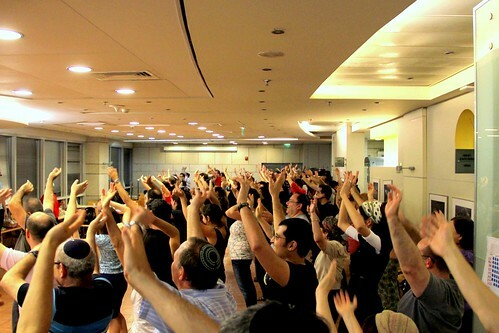 This year I was asked to photograph the flash mob rehearsals, create a presentation, and make a video recording of the band at the meeting itself. I had no idea that the band’s performance would be 25 minutes long. 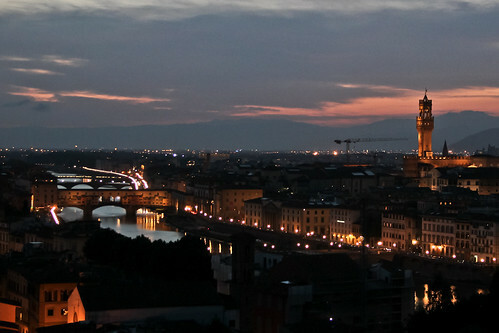 It’s a good thing I took a tripod! But that seriously limited my mobility because the room was so crowded. 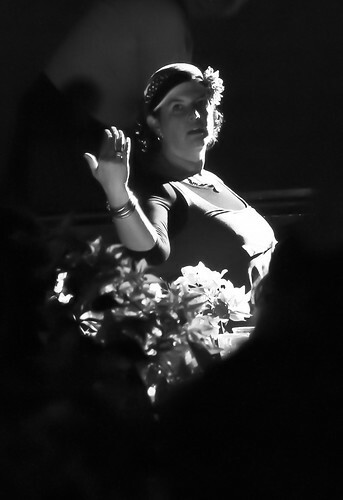 Martine’s solo at the beginning of the flash mob (“Glad you came”) was unforgettable. I was lucky to get a clear photo in these conditions from the back of the room. The rest of the photos were hit-and-miss. The fast movement and erratic purple and blue lights and spotlights made it very difficult to get clear shots. Here’s the dress rehearsal. 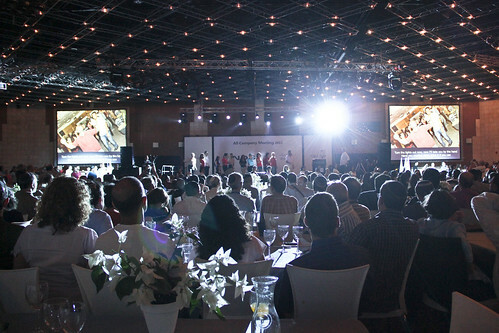 I chose this angle because I didn’t fancy trying to get 200 model releases…. The Live@NDS band was brilliant and their touching rendition of Auld Lang Syne received a standing ovation. Someone on Facebook said, “Not a dry eye in the room!,” which pretty much sums it up. I uploaded a video but was asked to take it down, so you’ll have to use your imagination…. I just realised that I never posted the photos I took at the pavilion of Israeli artists at Hutzot HaYotzer (International Arts & Crafts Fair held every August in Jerusalem). 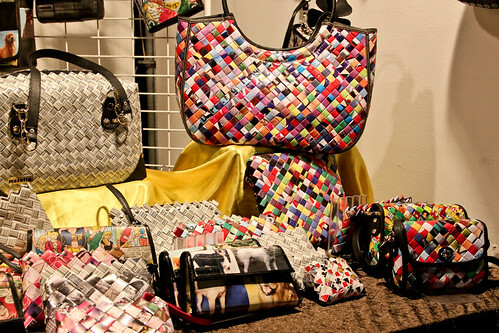 The handbags above are made from plastic wrappers that have been cut into oblongs, folded into continuous chains, and eventually stitched together to make fairly durable bags. These colourful bags are made by Natella. I’ve been working on one at home for ages (here’s a good tutorial). Maybe I should take a hint from Natella and either use bigger pieces or make smaller bags! I’m sure I have enough chains to make at least a glasses case and my family would appreciate not seeing bits of plastic around the house. 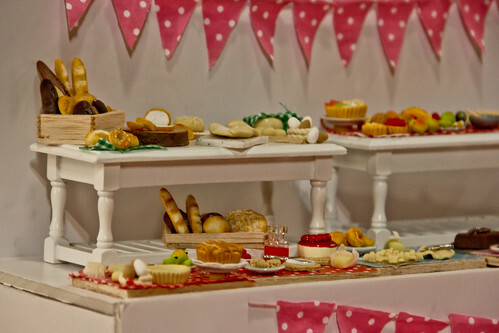 Am I the only one who finds miniature food irresistible? Apparently not! These beautifully detailed pieces are by Sweet Art Miniatures. 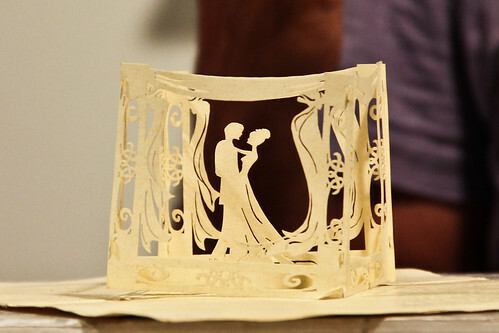 Unfortunately, I don’t think I recorded the name of the artist who made this lovely chuppah wedding card from cut paper. 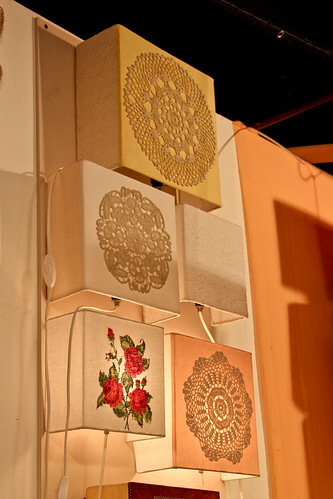 They were priced so reasonably that they must be laser-cut, not hand-cut. 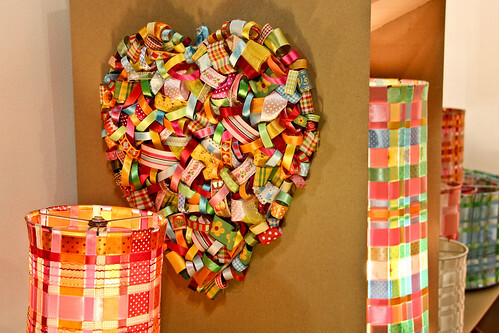 Lampshades and hearts made from ribbon. 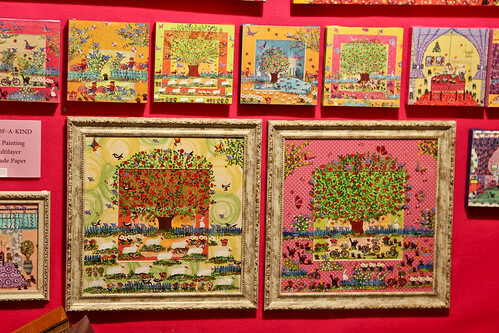 Mira Raman’s unmistakable acrylic paintings. 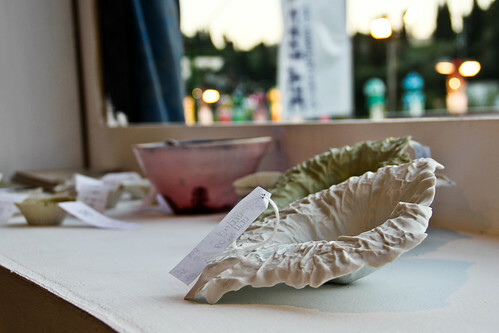 Ceramic dishes that look like lettuce leaves. These were on a windowsill in the Bezalel Art School pavilion. I didn’t see anything that I was interested in buying but these dishes were fun to photograph. 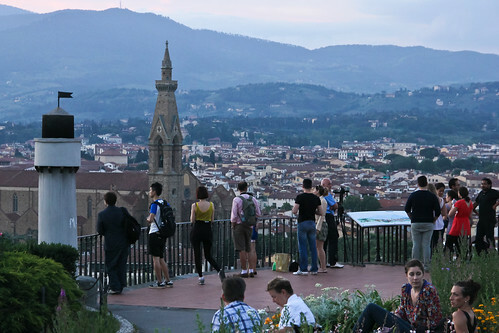 Piazzale Michelangelo, on the south side of the Arno river, is probably on almost every photographer-tourist’s checklist. It’s easy to see why. 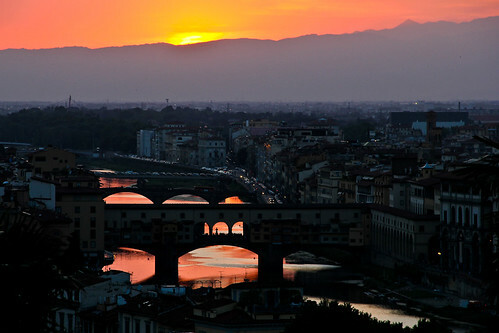 If the weather is suitable, you can capture amazing views of Florence at sunset. 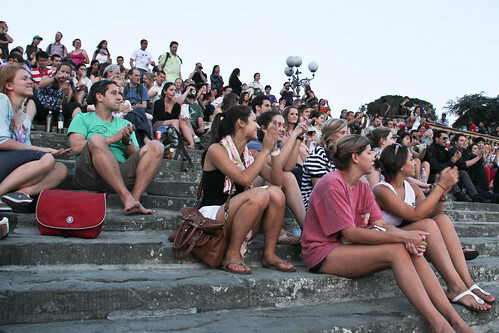 Because the view is free, this site is very popular with backpackers and students. 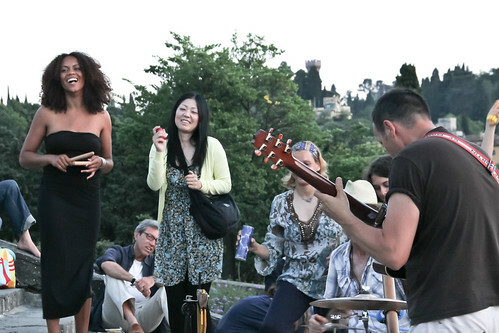 The first night we climbed up, a couple musicians were entertaining the kids on the large staircase. Here’s a short video I took with my iPod. 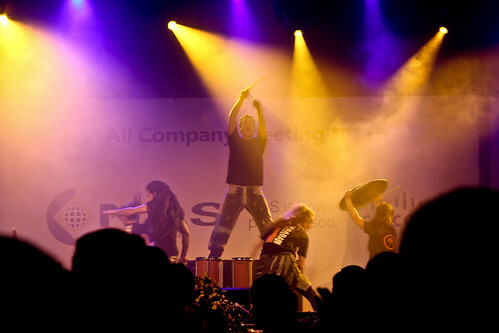 The girls playing rhythm instruments and swinging orange tubes are volunteers from the audience.